With Eurozone stock markets powering higher we hear the outlook for the euro exchange rate complex (EUR) will continue to be undermined as investor demand for currency hedges remains elevated. “As the euro weakens further and oil prices stay subdued the case for a robust euro recovery grows stronger by the day." - Allan von Mehren, Chief Analyst at Danske Bank. A very light Eurozone data and event calendar this week has allowed the shared currency to stage a much-needed relief rally. The EU summit on Thursday may gain some attention as the situation in Greece is likely to be a topic for discussion. However, those analysts we have spoken to do not expect any major decisions. 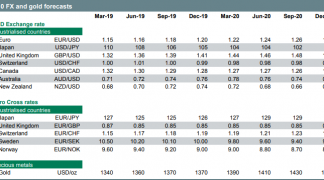 We are therefore left to consider the core underlying themes that continue to drive the euro lower and ask the crucial question – will it continue? With the German DAX hitting new records at the start of the week we hear that the growing demand for Eurozone stocks will be a key drive of further weakness in the euro. Before we explore why investors will be pressuring the euro lower, and bringing you the latest forecasts, we see the euro to dollar exchange rate (EURUSD) is trading 0.87 pct higher on a day-on-day basis. This rally should not be surprising in the context of our recent report that showed the recent declines in the euro dollar have simply been too steep and have come too quickly. 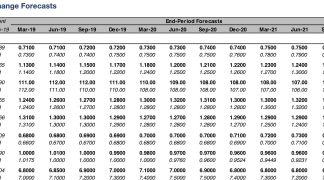 Add to this predictions for a USD-negative FOMC event mid-week and we can understand why the move higher in EURUSD has transpired. The euro to pound exchange rate (EURGBP) is meanwhile seen trading 0.42 pct higher on a day-to-day comparison at 0.7148. Those with currency market requirements should be aware that the quotes used in this article refer to the wholesale inter-bank exchange rates. When transferring money globaly your bank offers you a rate that has significant margin added. An independent provider will however guarantee to undercut this margin, in some instances delivering 5% more FX. Learn more. As traders walked into the new week they promptly sent the German DAX across the 12000 level for the first time in its history. “The astonishing post-ECB QE growth of the Eurozone indices shows no sign of stopping, with the DAX rivalling the Nikkei’s post-BoJ QE run,” notes Connor Cambpell from Spreadex. 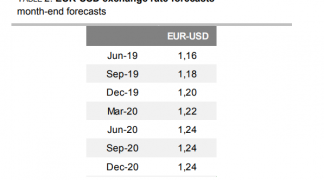 This demand for Eurozone assets has seen forecasters at Danske Bank confirm they are expecting the euro dollar to soften towards an exchange rate of 1:1. “The momentum lower in EUR/USD has continued, with the cross hitting 1.05 this week. While it looks oversold short term, we see no reason why the trend should not continue in coming months. “The Fed June hike we expect is still not priced in, and the ‘hot potato effect’ of negative euro rates and excess liquidity is also driving investors to riskier assets and thus supports euro stocks, credit and peripheral bonds. To explain this dynamic further we take the example of a British investor buying European stocks. The investor’s return will be either exaggerated, or undercut, by movements in the pound euro exchange rate. As such, with consensus forecasts suggesting the GBP/EUR will move higher the return on European assets is expected to be undermined by the currency markets. To negate this scenario investors will hedge against their currency exposure, essentially by selling the euro against the pound sterling to take advantage of the move. So as long as the ECB continues to feed an equity buying spree in the Eurozone we could well see the selling of euros continue as investors continue to seek the highest possible return on their purchases. There is of course the risk to those betting on a lower euro exchange rate that the Eurozone economy recovers faster than the team at the ECB are expecting. Such a scenario could prompt the ECB to ease back on their programme earlier than expected – something that would send the single currency rocketing. “As the euro weakens further and oil prices stay subdued the case for a robust euro recovery grows stronger by the day. “The tailwind from oil and the euro is topped up with new record lows for bond yields and a clear improvement in money and credit growth. “While the strong picture is increasingly reflected in forecasts as consensus is moving higher, we believe this is going to continue as consensus often lags when the cycle really turns. While there are signs of recovery it will take a great deal of growth to transpire before the ECB starts to even hint that it will tweak its intensions on European stimulus. The trend lower has further to run but we are forecasting the rate of decline to ease.